Looks like no single operator is interested to let its customers to use the power of MNP for once. Thanks to MNP, now biggies like Airtel, Vodafone also has registered their name in tariff war. Few days ago we have brought the news that Vodafone launched its Bounus Crad of Rs.39 for lowering local call as low as 35p/Min. 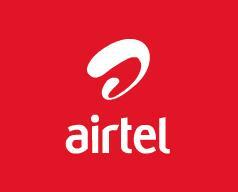 Now, it’s the time of Airtel launching the RCV of Rs.37. The Airtel’s RCV Rs.37 is dedicated to the prepaid customers of Kolkata & West Bengal circle to enjoy all Local call at just 35p/Min for a period of 30 days from the day of recharge. dont like the hype you give to only a circle specific schemes…. this scheme is only for kolkata and wb and you published it like a pan India scheme. the same hels true for vodafone news also. please mention circle in headline if the scheme is circle specific.